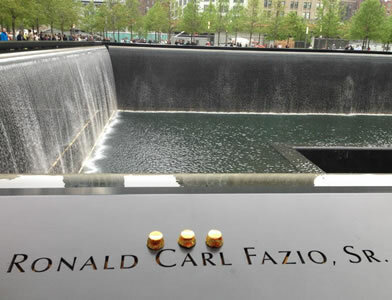 On the fateful morning of September 11, 2001, Ronald C. Fazio, Sr. knew something was gravely wrong. 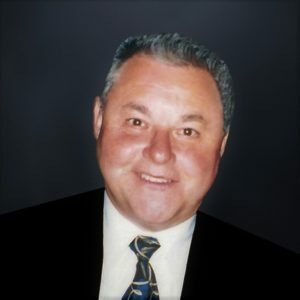 Before he and his colleagues in the South Tower had details of the events happening right outside their windows, Ron sensed the urgency and encouraged his colleagues to evacuate the building, “He immediately told people to leave, to get out” his son, Rob, explains. These actions surprise nobody who knew him, “That’s what made my dad who he was, he was always putting other people before himself,” his eldest son, Ron Jr., said. Ron never made it home that day, but he left his family with a story worthy of the man he was and the life he lived. His wife and children, Ron Jr., Rob, and Lauren, will forever be grateful to the outpouring of love and support they received from their family, friends, and strangers in the days, weeks, and years that followed that tragic day. They knew that their dad would want nothing more than for them to continue living the values that guided his actions that day – helping others, especially during the hardest times. For that reason, Hold the Door for Others was born. With the foundation that people can grow through their loss, they worked to redefine how people framed their grief. Rob was in in a doctoral program in counseling psychology at the time, and he and his friends in the field joined forces to create materials and workshops guided by research on post-traumatic growth. What emerged was an organization of professionals, family, friends, and volunteers who brought Hold the Door to life. Across the years, thousands of people have experienced growth and support through the organization. One longtime attendee and volunteer, Christine Uscher, summed up her experience with Hold the Door, “To thrive through loss, well that’s something. And that’s something the Fazio family has done, and they’ve encouraged and inspired me to do that, too”. 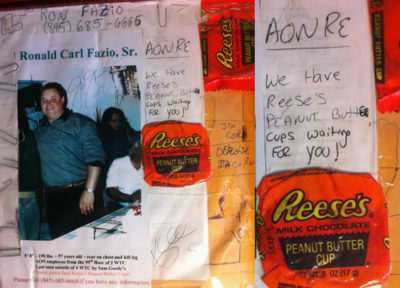 Click Here to read about our story of Reese’s.